Don't get me wrong, I like it. I'm just curious if there's something I should have instead. 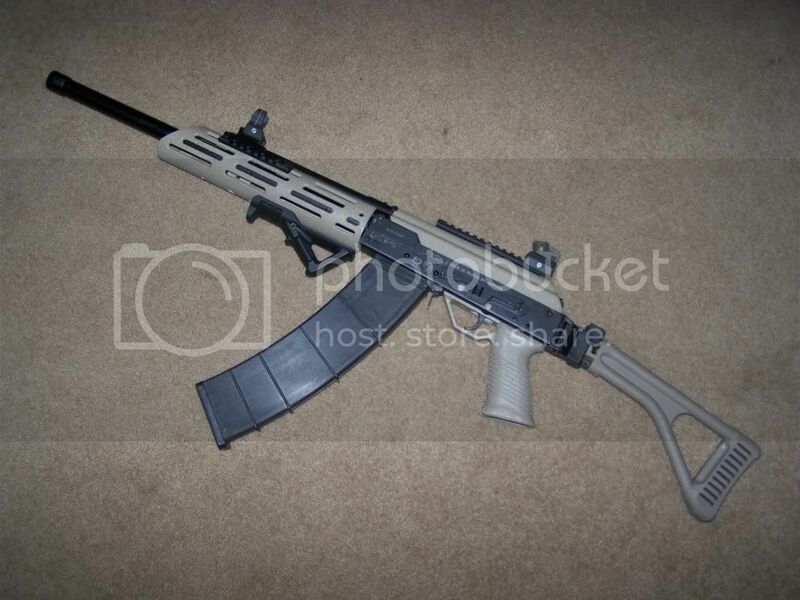 Anyone got an MKA1919, KSG, or UTAS they'd like to trade or at least share about? Re: What to do with the S12? Yes, there is something else you should do. Fill out the paperwork and get that baby SBS'd! Nice mod. I am still debating on what to do with my S12. Just got my UTS-15. Sorry I'm keeping it. And I hated the KSG. flyingirish04 wrote: Just got my UTS-15. Sorry I'm keeping it. And I hated the KSG. I've fondled a couple of KSGs & I thought they were good. Didn't get to shoot either one though & haven't even seen a UTS-15 in person. I owned a mka. Takedown required Allen wrenches and extensions, mags are crazy expensive, and the polymer lower needed cut to put on are accessories. Also, takedown had to be perfect or you risk slamming the bolt until polymer feed ramps ruining any chance of it feeding in the future. On the plus side, It's already "converted", ran about 70% with cheap 3 dram birdshot out of the box, and controls are just like an ar. It also takes Winchester chokes which was nice for me since I have a few Mossberg 930s. flyingirish04 wrote: Nice mod. I am still debating on what to do with my S12. Just got my UTS-15. Sorry I'm keeping it. And I hated the KSG. I've handled the UTS; not bad. 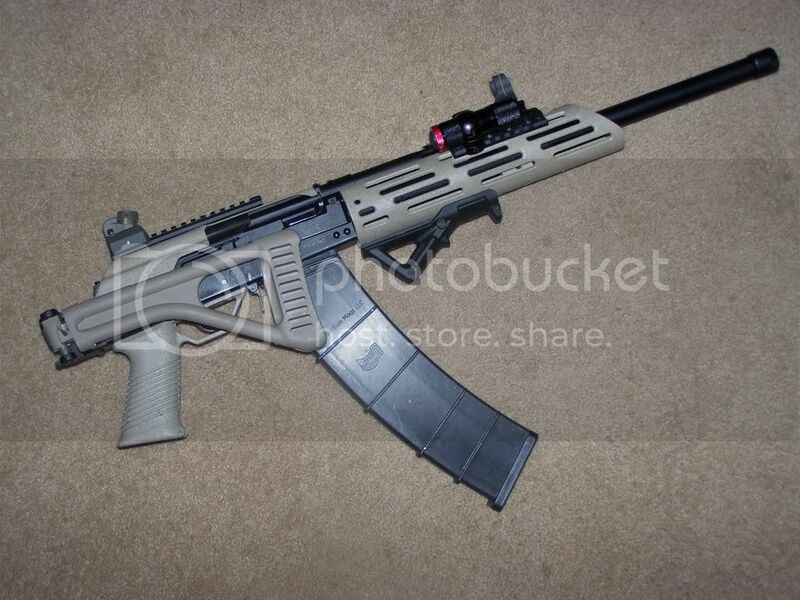 What was so bad about a KSG? Cheap feeling. Have to throw switch to change magazines. Jams all the time, and it isn't easy to remedy when it misfeeds. UTS feeds all mags without throwing switch. Troubleshooting very easy. Worlds better build quality. My uncle has both so I got to fire em together. It wasn't even close. I will do a full review of it when I get a chance. Had a weekend shooting last weekend with a dealer friend. Just bolt guns though. Didn't bring the shotguns out. Don't hold your breath. I'm pretty consumed with work. Hoping I can get at least a UTS review in next month or so though. Just bought a lot of varieties of buckshot, slugs, etc for it.